United's stuttering start to the season has seen the experienced Portuguese coach's position at Old Trafford repeatedly called into question. MANCHESTER: Jose Mourinho's turbulent time as Manchester United manager could end with him being sacked as soon as this weekend, according to a British press report. 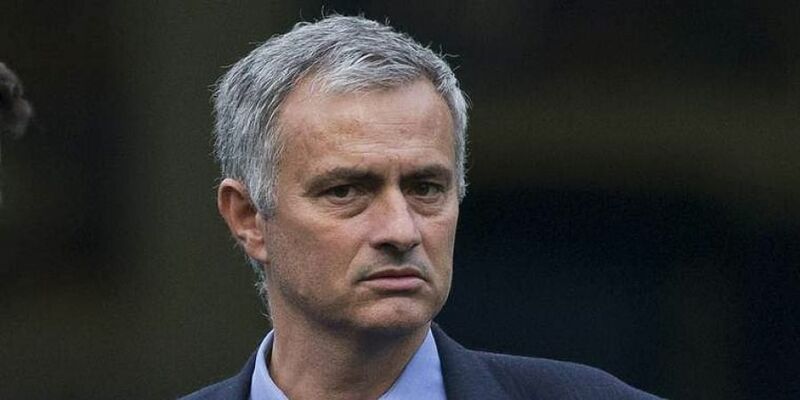 But the spotlight on Mourinho intensified when Britain's Daily Mirror newspaper reported late Friday he would be sacked regardless of the result of United's match at home to Newcastle in the Premier League on Saturday. United are struggling in 10th place and last week's 3-1 loss to West Ham meant they had suffered their worst start to a league campaign in 29 years. According to the Mirror, Mourinho, 55, has lost the confidence of the board with "senior United sources" telling the paper his nearly two-and-a-half years in charge will end whatever the outcome of the Newcastle game. Tuesday's goalless draw against Valencia in the Champions League -- a match where United struggled to live up to their fans' expectation of attacking football -- also meant former Chelsea boss Mourinho had gone four home matches without a win for the first time in his managerial career. "Yes, I accept (it is not good enough)," Mourinho, who has reportedly had several bust-ups with star player Paul Pogba this season, said when asked about United's losing streak during a pre-match press conference earlier Friday. The press conference, called for the unusually early time of 8:00 am (0700 GMT), lasted a mere eight minutes and 29 seconds. But that was time enough for Mourinho to suggest United's results would pick up. "We are better than this and because we are better than this, our situation is going to improve. I have no doubts about that," he said. "I think opponents with much more potential than us finished behind us," he said. "That is the reason why it was a phenomenal season." United became a byword for managerial stability during Alex Ferguson's trophy-laden 26-and-a-half years in charge. But were Mourinho to be dismissed, it would mean United had got through three full-time managers, plus club great Ryan Giggs's spell as caretaker, in the five years since the legendary Scottish boss retired in 2013 -- a period that has coincided with the club failing to win either the Premier League or Europe's Champions League. Former United and England full-back Gary Neville, one of Ferguson's most dependable players, said such an attrition rate was against the "principles and values" of the club. Asked if United would be right to sack Mourinho, Sky Sports pundit Neville replied: "No. To be honest I'm furious. "I'm furious going back three, four years ago when David Moyes was sacked, when it broke a day before to journalists. "I think of Louis van Gaal being sacked the evening of a cup final and finding out from other people." In what appeared to be an attack on Ed Woodward, United's executive vice-chairman, Neville added: "At the end of the day this is now going on five or six years and I have to say that any manager -- Jose Mourinho is one of the best managers in the world -- and I think in this moment in time any manager would struggle in that football club, the way in which requirement is handled, the way in which it operates. "Enough is enough for me. I love that football club, I absolutely love it to death, it's been my life... I have to say something has to change and it isn't the manager, it's above that. "And I'm furious that we're stood here thinking that there's a report that's broken out... journalists don't break stories of this nature unless they're absolutely certain. "I hope it's not true, but if it is true I think it's an absolute disgrace," he insisted.